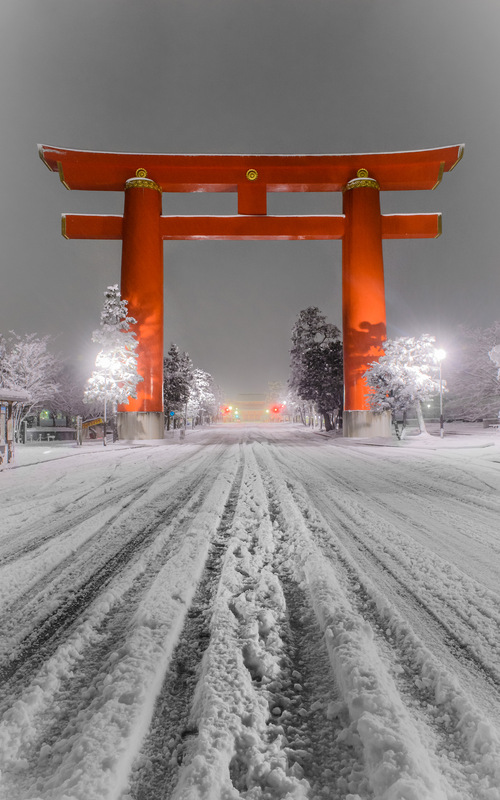 This picture is from the same snowy outing almost two years ago that produced the three-part “Kyoto At Night During a Heavy Snow” posts (part 1 · part 2 · part 3). This shot mimics the one that leads Part 2, but this one was taken five hours later (at 4:42am) after the snow had long stopped falling. Anyway, it's just a random photo to accompany a recommendation for users of Adobe Lightroom to read Victoria Bampton's “Lightroom Catalogs – Top 10 Misunderstandings” article. New users may find some misconceptions cleared up, while veterans will find a good resource to point to when helping others. Victoria (“The Lightroom Queen”) has a thorough, non-technical writing style that's easily digested by the non-geek photographer. Her “Lightroom Missing FAQ” is well worth it if you're struggling with Lightroom, especially workflow-related issues. As a professional courtesy she gave me a copy of it back in the Lightroom 5 era (the current version of course covers Lightroom 6/CC), and that version is a ridiculous 624 pages long. I tend to prefer printed books to ebooks, but this really benefits from being a searchable PDF. Highly recommended. Thanks for sharing the post Jeffrey! Your copy of the LRCC/6 book has been waiting for you in the Members Area since release, but the email might have gone to spam. It was a complete rewrite this time, so I’d love to know what you think.